Crumb, a “cake experience” company in Leeds founded just over a year ago by two young mums, make afternoon tea parties that can be delivered not only to your door, but through your letterbox. Alice down a rabbit hole? Sure. A tea party delivered through my letterbox? I was skeptical, but Crumb have convinced me that they are no Mad Hatter. but once opened, what did I find? Also included were 12 individually wrapped sachets of fine Taylors of Harrogate Tea, and decorative cake topper flags, plate doilies, and napkins. After opening the Afternoon Tea Party Box by Crumb, I set up the little Tea-for-Two pictured above in about 10 minutes – with enough leftover food, tea, and extras to host a second tea party. (There’s plenty of time to plan; the baked goods have a 3-week expiration date.) The sheer convenience of it all makes entertaining effortless! The Taylors of Harrogate tea selection in Crumb’s Afternoon Tea Party Box is spot on – there is something for everyone: Earl Grey, Yorkshire Gold, Afternoon Darjeeling, Delicate Green Tea, Blackberry & Elderflower (caffeine free), and Orange & Lemon. If there is one thing I think Crumb has neglected in their Afternoon Tea Party Box it is this: their name. Everyone who leaves a tea party fashioned by Crumb will want to remember where it came from so they can order one of their own. A subtle, stylish tone-on-tone rendering of the word Crumb on the little white napkins that come in the box might be lovely. 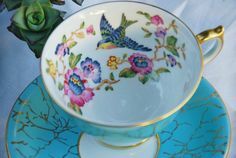 Not long ago I wrote about another fabulous Afternoon Tea Party Box that can be delivered to your home, but the Crumb Afternoon Tea Party Box is an excellent alternative as – and this is my favourite thing about it – it can be delivered through a standard letterbox. 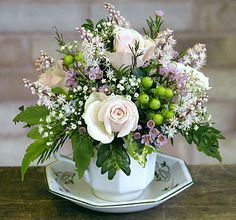 An Afternoon Tea Party Box by Crumb delivered through their letterbox would be a great way to surprise your mum, your nan, your sister, or your bestie. Delivered through your own letterbox, it’s a simple way to host an engagement celebration, book club meeting, or chick flick get-together. And as far as mad tea parties go, the convenience of an Afternoon Tea Party Box by Crumb eliminates all the madness, leaving you and your guests to enjoy teatime in wonderland. It’s easy to order and pay online from the Crumb website. Crumb currently have 15 different food boxes (including a Christmas range) varying in price from £15.00-£32.00. Delivery is free via Royal Mail, first class. 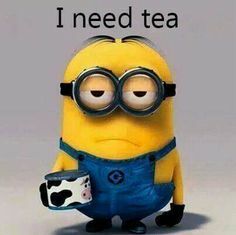 I am curious if there are any companies in the United States that offer a quality Afternoon Tea home delivery service? to share it with others on Twitter, Facebook, and Pinterest. Thank you, I will bookmark Crumb for future gift giving! Sadly there is no company like that in the US. :( I, however, would be rolling in afternoon tea cakes if we did. :) It is probably a good thing we don’t. I’m off to have tea and cake (a Vita Top) shortly in the kitchen. I don’t have far to go. Hi Nancy, This idea would be a great start-up in the States. Who knows, maybe it will happen? Thanks for stopping by! This is fantastic. I am sad to see that Nancy says there is no such company in the US : ( I wonder if Crumb ships internationally? This is revelation. It’s genius and love the idea! I’ve seen snack boxes that fit through the letterbox but never Afternoon Tea! How long does delivery take? Imagine what a great way to cheer up a sick and/or lonely friend or family member. Perhaps the only other thing missing are savoury treats or are you expected to make your own cucumber sandwiches? I believe Vicky has answered your question about delivery and yes, it is a genius idea, isn’t it. Thank you for the link-up invite; I have done so! This is absolutely amazing. What a brilliant and novel idea. I wish someone had the same thing here in Florida and New York where I live. 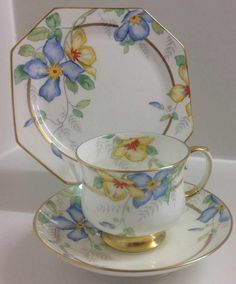 What a lovely gift to send someone too~or to have it at your home with your own teacups. Hi Ruthie! Thank you for the compliment, and I agree about Crumb’s Afternoon Tea Party Box being a lovely gift! Hi everyone, thanks for the great feedback, and thanks to Denise for the lovely post. We currently don’t send internationally but we are looking into it. Likewise savoury treats are something we are currently researching. The boxes take 2-3 days to arrive and include free first class delivery to the UK. It’s a wonderful alternative to flowers or chocolates for someone who needs a pick me up and knowing that the box fits through the letterbox means there’s no “sorry we missed you cards” waiting for the recipient to deal with – just lovely treats through their door. Thanks again and do post any ideas you have on here – we are a young company so everything is still very exciting and we love developing new boxes based on our customers ideas and desires. I just love the creative tea businesses popping up all the time and this one is top notch! Just wonderful and definitely one should grab and run with here in the US. If I were into starting another business I would surely do it. They should even have Crumb on the back of those little flags. I think it’s a great idea for the U.S. as well, Marilyn, although over there the box might end up sitting in someone’s mail box which, on warm days, could become a problem. And I love your suggestion on putting the company name on the back of the little flags. Am sure Vicky will be reading this thread…. ha ha I like that! Yum for the Crumb indeed! Yep. Someone in the U.S. should jump on this idea! Wow! Super delectable delicasies! Gosh! I love this! I love the presentation, too. Thanks for sharing! Hi Daisy, it’s lovely to hear from you again. I posted about you once on my other tea blog (in America), Uniquely Tea! Hope you are well, and glad you liked the post! How very cute! What a lovely idea for someone who either does not bake, or has no time to organise the eats for the Tea!!! !1 Love their packaging….. really very organised! Morning, Jennifer – thanks for stopping by. Yes, it’s a great idea – one of those ‘Now, why didn’t I think of that?’ concepts! I hope you’ll have an opportunity to try it out. Their product is delicious and full of style – like your blog!! I'm Denise, an American expat Anglophile who lived in Surrey, England for 6 years. 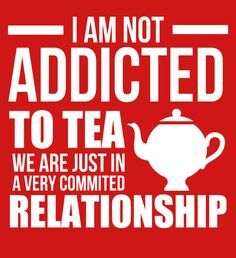 Rather conveniently, I loved tea (and still do!). 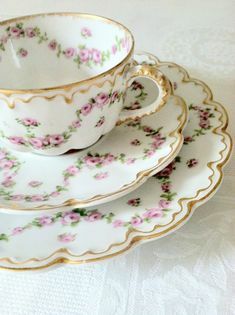 The longer I lived in England and the more I saw and did, the more I discovered that in one way or another almost everything there had a tea connection. Tea in England was created to share those discoveries and connections with you. Wanna know how the whole Anglophile thing happened? Would Carson approve of Downton’s “Upstairs, Downstairs” Afternoon Tea at Grosvenor House? All writing and images, unless otherwise noted, are original and belong to me. They may not be reproduced anywhere without my permission. I'm easy to get along with - so please just ask! Click Like and join me on Facebook! Pins Pins and More Pins! My reviews, gifted or not, are unbiased.